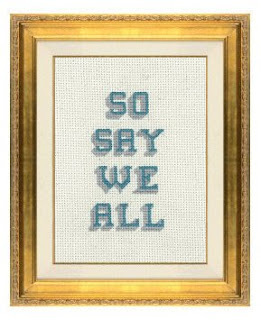 I finished this on friday so i was able to frame it and put it on the coffee table with the "frak you, you, frakking frak" cross stitch. They were the decorations for the Finale of BSG! i think it looks damned good! Tamara rocks at cross stitch. So say we all!! I am told that this is a Battlestar Galactica reference. I know not of this. I can only see the awesome.